My friend Ken came by and we were doing some research on getting from Valencia, Spain to Dresden, Germany. Neither of these two cities are international hot-spots. I figured he was going to be very lucky to get a direct flight. Very lucky. It turns out that there was none and a flight with one stop was going to set him back about $150. I suggested he grab a bus to Barcelona and take a $30 flight from there. After all, he could spend a day or two in Barcelona. As we were searching I ran across a new (for me) website called GoEuro. I liked it. It showed prices for several type of transportation from Valencia to Barcelona. The bus was the cheapest at $9. There was a flight for less than $150 but it took 12+ hours to get there. I wondered if it went through London. Anyway, I wanted to make a note of the website for future reference. After all, I’m thinking about Europe next year. This entry was posted in Travel and tagged airfare, Bus, Train on June 21, 2016 by Steve. 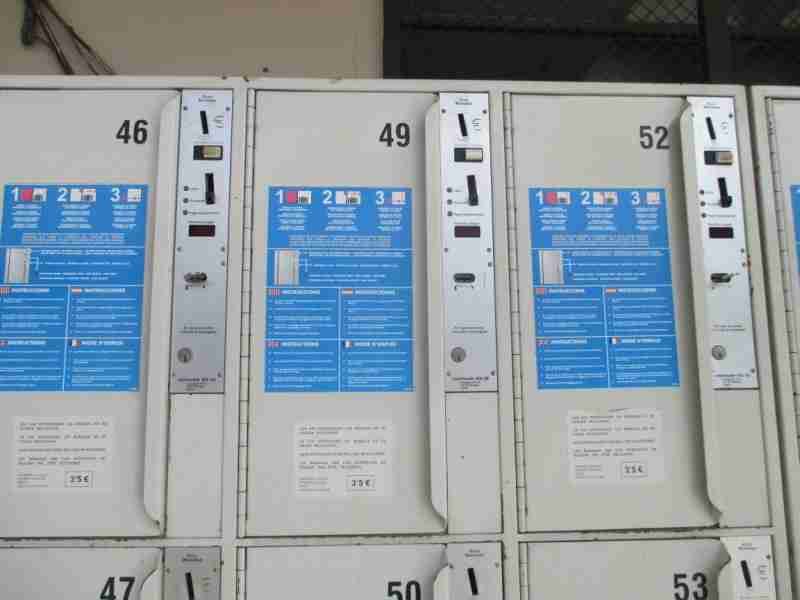 This entry was posted in Travel and tagged Bus, Locker on May 16, 2014 by Steve. This entry was posted in Travel and tagged Bus, HOHO, Hop On Hop Off, Seville, Spain on April 17, 2014 by Steve. I’m being cynical. The airport was not busy at all where this picture was taken. Of course it was 11:00 at night. My plane left at 2:45 AM and the check-in ticket counter didn’t open until 10:45 PM for check-in to the flight going to the United States. What kind of flight leaves out at 2:45 AM? A weird one. There was no way that I wanted to fly out of anywhere at 2:45 in the morning. That’s just silly. But, I did it. 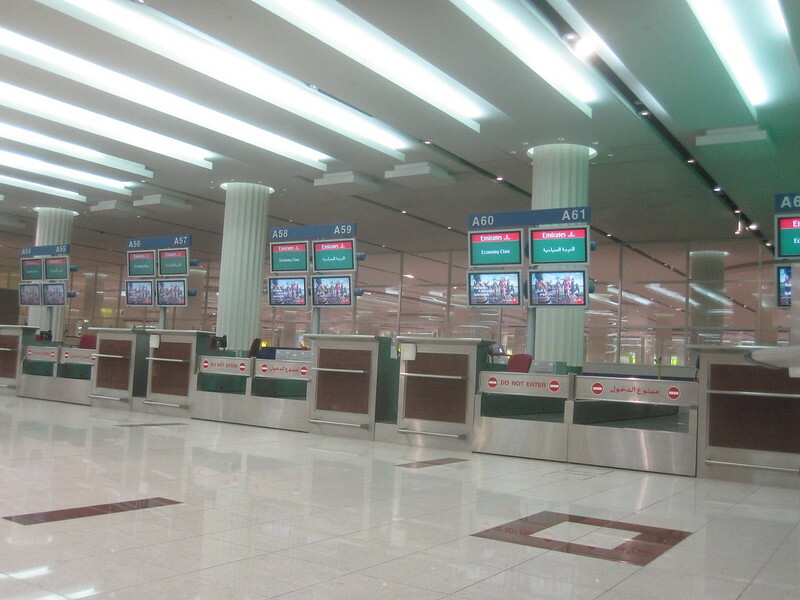 And, to tell you the truth, the Dubai airport turned out to be very busy at that time of the morning. The boarding started at 2:00 AM and I went to spend my last three dollars at about the time boarding started. What I noticed was that I had to make my way through the crowd to find a shop that would sell me some food for 10 Emirati Dirham or less. It was truly busy at that time of the morning. I couldn’t believe it. Where were all those people going at that time of the morning? Who knew? 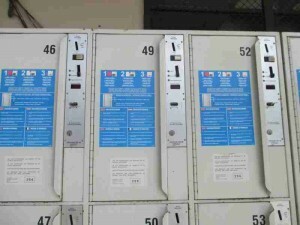 This entry was posted in Travel and tagged Bus, Dubai, Emirates on August 8, 2012 by Steve. They’re cute. They’re everywhere. You even have to keep your windows up at the car parks so that the monkeys and baboons wouldn’t rob you. Apparently, they have no concept of private property. If it’s there, it’s theirs. The only way to get it back is to take it from them. We saw thousands of them in Africa. This is a pretty large group. I’d say they numbered over 50 but less than 100. However, we only the saw the ones close to the road. There could have been hundreds more lurking in the bushes. This entry was posted in Travel and tagged Africa, Bus, Overland Trip on June 18, 2012 by Steve. 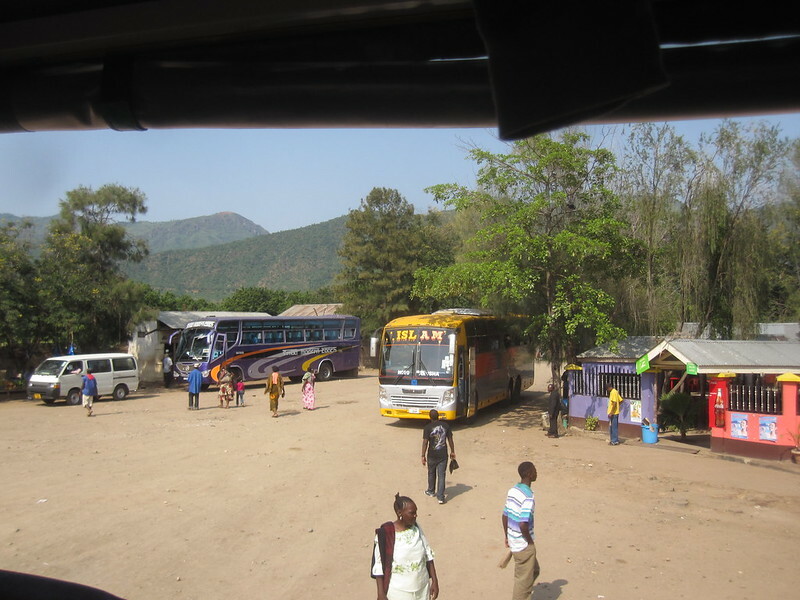 They have lots of buses in Tanzania. They pass the truck all the time. I think most of the drivers that drive them were trained by ex-American crash dummies. They’re really bad. They get in a huge hurry. I think there may be bus companies that run reasonably safe buses from one location to the other, but it seems that the local companies that serve a small regional area tend to stop for every person that flags them down on the road. This makes for crazy bus drivers that drive wild to make up time because of all the stops they make along the route. 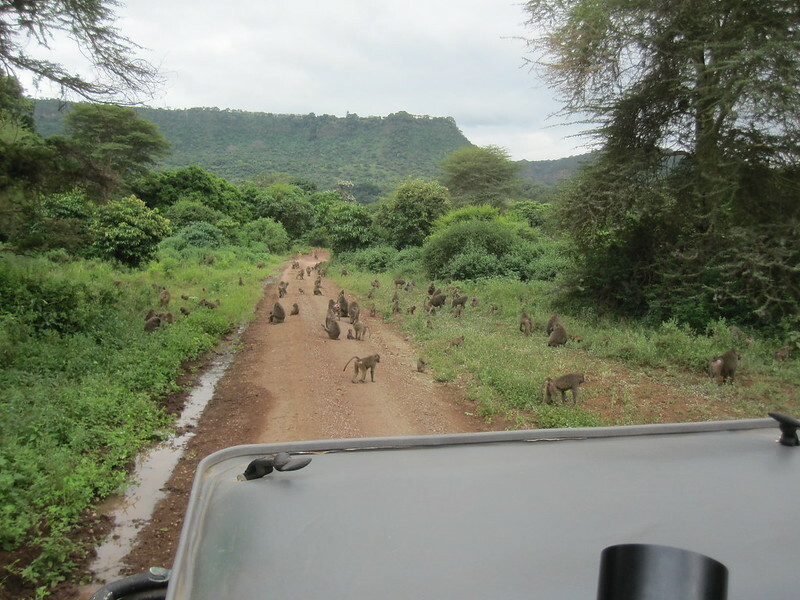 This entry was posted in Travel and tagged Bus, Tanzania on June 10, 2012 by Steve. Bus travel is very common in South America. 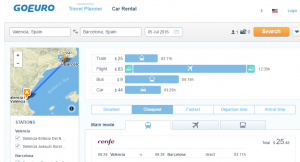 Most people do not have cars and buses are so much cheaper than flying. 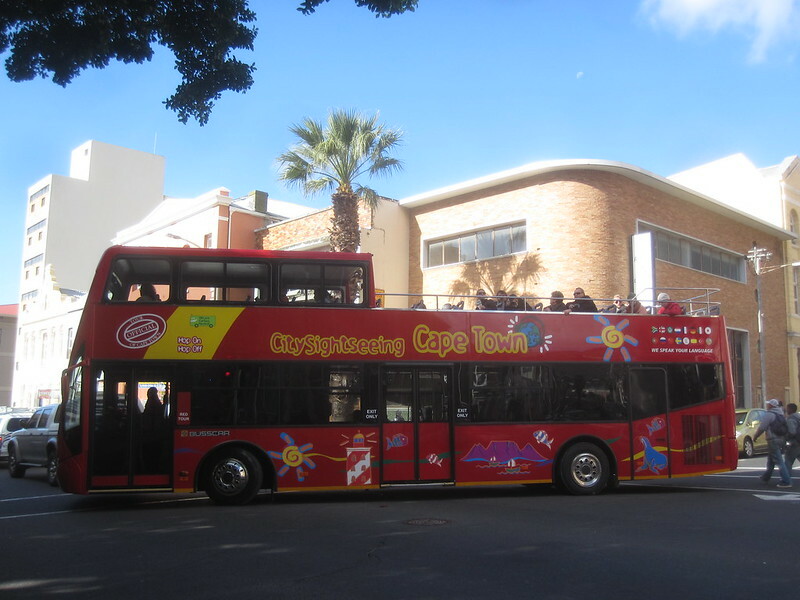 Consequently, 12 to 24 hour bus trips are not uncommon. I would never recommend taking a 24 hour bus trip to anyone. I will say that I have no problem taking them even though they are taxing on the mind, body and soul. However, you get to see a lot more from a bus window than an airplane window. Plus, there are some places where you just cannot fly. All that being said, the South Americans have buses that put buses in the United States to shame. Ormeno is one such company. 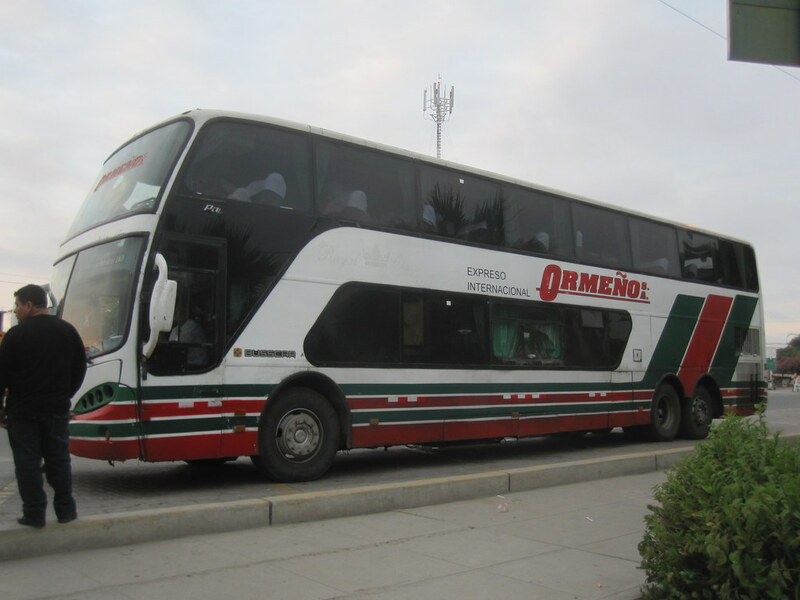 I rode their bus from Guayaquil, Eduardo to Lima, Peru. It was supposed to take 27 hours. It took 30. The scenery was incredible. 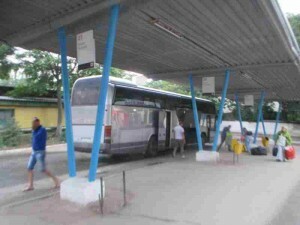 This entry was posted in Travel and tagged Bus, Guayaquil, Peru on September 21, 2011 by Steve. 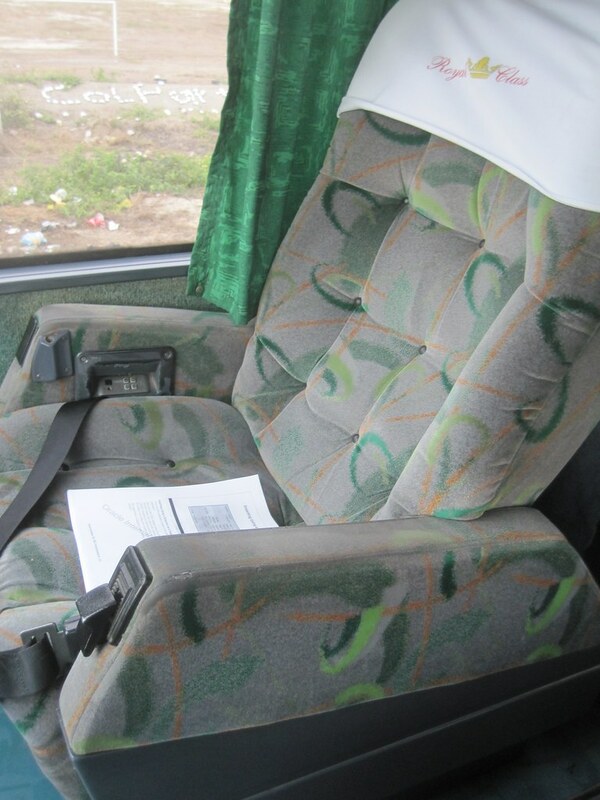 Does this look like the typical bus seat in an American bus. No, of course not. The seats were quite wide and comfy and they reclined 160 degrees, which meant they were almost prone. Plus they had leg extensions that folded down I would say that it’s the closest I have seen bus seating come to matching or exceeding the seating in the first class cabin of an airplane. 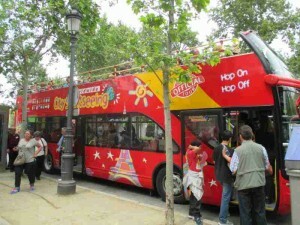 This entry was posted in Travel and tagged Bus on September 21, 2011 by Steve.